The tartan patterns of Modern Scot Patchwork are fast and easy to make! Just follow 6 simple steps: Cut, Sew, Sew, Cut, Sew, and Sew! 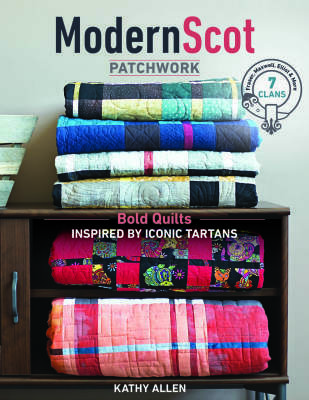 Kits for Modern Scot Patchwork patterns are now available for purchase in several sizes, including table runners, lap quilts, twin quilts, queen quilts, and king quilts. You can choose traditional kits that mimic the historic colors of the tartans, or non-traditional kits that allow you to indulge in exotic batiks, romantic florals, or whimsical storybook fabrics.